in Florida. [Also see BRITISH RESTAURANTS / BRITISH FOODS page on this website] . The British Bureau of Florida is the only business maintaining current files on every one. Phone each place direct for information. Some combine a British shop, tearoom and/or bakery at the same premises. . Please tell the shopkeepers you saw it on this website. Email any updates to britishbusinessflorida@gmail.com with your name/contact phone for verification. Just opened yours–email us details! ►► Attention owners of British shops: Want more NEW paying customers–guaranteed? Increase your bottom line. 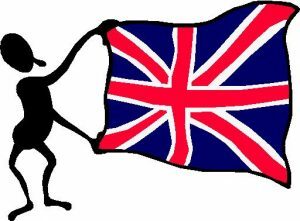 Use our eBlast service to the thousands of local Brits and Anglophiles in YOUR local area. We have them in our British Bureau database—you don’t! This British contacts database–the only one in Florida— was launched in 1996 and is updated weekly. Email query to britishbusinessflorida@gmail.com On Subject line put: Florida British eBlast query”. BRANDON The European Gourmet and Deli  681-9125 British owner Martin Bebbington. Has British foods. COOPER CITY/Pembroke Pines VIENNA CAFE and BISTRO  680-6599 British owner Sandra Guerra. Good place to host a teaparty there with your Britpals! Open evenings—call to find out what they offer. CLERMONT Friar Tuck English Cafe  404-6818. Serves full English breakfast and authentic British dishes made from scratch. Also sells British food items. DAVENPORT The Proper Pie Company. 438-2705 British owner Derek. DUNEDIN Lothian British shop  733-6838Scottish kilt/bagpipe rentals, British/Scottish foods and gifts. THE BRITISH MARKETPLACE and attached LET’S HAVE TEA ENGLISH TEAROOM is your one-stop Brit-shop for Broward and Miami Brits. [Miami’s only one closed years ago]. Largest range of British foods, gifts, football, and souvenir items imported from the UK. It’s an Aladdin Cave of British goodies, with new imports arriving daily from England, Scotland, Wales and Ireland. Pop in and see what they have! For your year-round and Easter and Christmas Goodies [with attached tearoom to have a cuppa and Bakewell tart while shopping], head out to the British Marketplace in Davie. Their tearoom is especially popular for occasion and group bookings, classic English High Teas Christmas parties, ladies lunches, or just you and a friend. View both websites to see they have to offer: www.britishmarketplace.com and www.letshavetearoom.com British owner David Williams is known for the friendliest service in Florida—true! A member of FABB [Florida Association of British Business]. British Marketplace, 6923 Stirling Road, Davie FL 33314. From 95 exit west on Stirling Road. Call shop for opening hours on  584-8888. FT. LAUDERDALE Best of British Shop  525-0009 on SE 17th. Street Causeway opened October 2013. FT. MYERS OK-UK Fish and Chips  599-2328. British owner John Norton. FORT WALTON BEACH The British Pedlar shop. 863-3969 English owner Heather Pohlmann. JUNO BEACH Bentley’s Cafe  624-7944 Ask for British owner Martin Watson . Sells British dishes and foods. Call to ask exactly what they have. KISSIMMEE The British Chippy  507-5064. An authentic fish and chip shop like we loved back in UK. LARGO London Pride Shop  517-3550 British owner Carole Clephane. MIAMI The Tea Room at Cauley Square  258-0044 not British-owned but a genuine tearoom. MIAMI [west] Madi’s Teagarden and tearoom  801-0668 A charming Victorian-style place. MIAMI has NO British food shop now—The nearest one for Miami Brits is the British Marketplace in Davie  584-8888. MIAMI [South Beach] EPICURE  672-1861 is a gourmet shop with an aisle of [expensive!] British foods. MOUNT DORA Windsor Rose English Tearoom  735-2551. British owner Paul Goodale. They hold British events and shows there too—call to find out what’s coming up. ORMOND BEACH Margaret Cassini [British ex-owner of a shop] now sells British foods from her trailer. Call her on  221-0868 to find out more. TAMPA Miracles Tearoom  991-1212 closed but English owner Jackie Sayles now runs a catering service and you can book teaparties etc.Call her on same number for info. 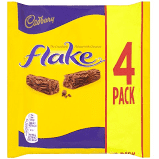 ► BRITISH FOODS and gifts WHOLESALERS: Bulk orders only. 1] Call LB Global in West Palm Beach, which supplies many of the British shops in Florida. Tel. 310-7974 ask for British owner Lisa 2] British Imports Florida  648-6801 in Orlando. Will ship anywhere in Florida. Ask for British owners Rahul Lathia and Sonia. ► BRITISH ITEMS: Would you like some British Stuff: T-shirts from UK. Mugs (The perfect mug of tea comes with an English Tea Bag and a packet of biscuits for dunking). British Tote bags and a zilion Britsh items and gifts. See www.britishstuff1.net or email: Londongurl.britishstuff1.net Reach British owner Marilyn in Florida on  873-8284. £ TIP: WANT TO SAVE WHEN TRANSFERRING over UK CURRENCY? DON’T USE YOUR BANK! Use Moneycorp. [ I use Moneycorp myself–FABB President.] The pound is shaky. That affects all expats in Florida who still have UK dealings. To transfer your precious funds, we highly recommend you use the services of Moneycorp. At lower rates than any bank! This will save you fees and grief, as we Londoners say! What your own bank won’t do is save considerable exchange fees, like Moneycorp. NOW is an advantageous time for you to transfer any funds you have. THE BEST WAY: Moneycorp, the UK company with an office in Florida and droves of satisfied Florida clients. It is the only UK currency exchange company licenced to deal in 50 states. Many expat Brits here have used this currency service for years and report huge savings and satisfaction. TO FIND OUT MORE: Phone Moneycorp’s Kelly Cutchin on  207-6616 at their USA HQ in Orlando to ask all your questions. Or email your query to kelly.cutchin@moneycorp.com Moneycorp’s HQ is in England. Posted by the Florida Association of British Business [FABB]. Moneycorp have been trusted members since 2005.